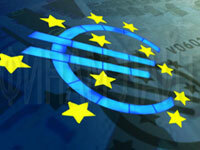 The summit of the European Union continued on March 26 in Brussels. The most important issue on the agenda of the summit is the crisis in Greece. The biggest intrigue of the meeting is about the stance of the EU’s largest country – Germany – which is supposed to carry most of the burden of help to the country that faces the danger of default. German Chancellor Angela Merkel stated earlier that Greece was not supposed to receive any international help. She reportedly did not even want to discuss this issue in Brussels. However, Merkel delivered a speech on March 25, in which she had to touch upon the most serious question for the European Union for the time being. She still insisted that financial assistance could be provided to Greece only in case of extreme emergency. She said that the Greek government had not declared its insolvency, therefore there was no reason to rescue the country. However, Merkel had to change her mind a little. She said that Greece could receive help from the International Monetary Fund, in which Germany plays an important role. If other countries wish to support Greece, Germany would not mind, Merkel also said. However, she strongly rejected the variant, in which the funds would be assigned from both the budget of the European Union and from the IMF. She said that it could be possible in case of emergency, which, as she said, had not come yet. She also said that it would be absurd to think of Germany as a scapegoat for the problems that Europe was facing. However, Merkel found no understanding among her European counterparts. Deputy head of the European Commission Viviane Reding said that the crisis in Greece could trigger a financial tsunami in the whole of Europe. “If Greece enters the state of default, the consequences will be visible everywhere – in Britain, Spain, France, Portugal and Italy,” she said. Reding urged Merkel to place European interests above the national interests of Germany and agree to help Greece before it is too late. The Prime Minister of Luxembourg Jean-Claude Juncker did not share Merkel’s point of view either. “We came to Brussels to make a decision. Probably, we will agree upon the provision of bilateral assistance from the IMF and the EU,” he said before the summit. Mr. Juncker acknowledged that it would be very difficult to overpersuade Germany. Spanish Prime Minister Jose Luis Zapatero said that Europe’s assistance to Greece would be a loan, which the nation would have to return with interest. Zapatero added that all countries of the euro zone must take responsibility to help Greece, the IMF was not necessary at all, he said. Greek Prime Minister George Papandreou said prior to the summit that the situation in Greece – a 300-billion-euro debt and a 13-percent budget deficit – was a challenge to the entire euro zone. As a result, All 16 euro zone countries have backed a financing plan to help debt-laden Greece, which will include IMF money. The safety net would total up to 22bn euros (£20bn), but would only be used if market lending to Greece dried up. European Commission President Jose Manuel Barroso said he was "extremely happy that we've reached this deal", calling it "a right decision". The joint eurozone and International Monetary Fund bail-out program envisages strict conditions and requires the unanimous agreement of the 16 euro zone nations to release loans. The agreement included no numbers, but officials in Brussels speaking on condition of anonymity said the total package would be some 22bn euros. The euro rose from a 10-month low against the dollar after European leaders meeting in Brussels endorsed a Franco-German proposal to assist Greece through a mix of International Monetary Fund and bilateral loans, Bloomberg said. Europe’s currency advanced for the first time in four days versus the dollar after European leaders put the IMF on standby to help debt-stricken Greece. The euro will likely fall to $1.20 to $1.25 against the dollar over the next 6 to 12 months.